Wrap sweet potatoes in foil. 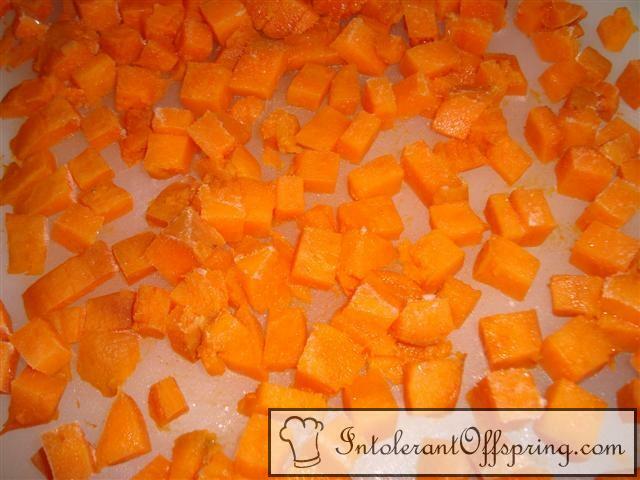 Place on cookie sheet and bake at 375 for 30-45 minutes depending on how big the sweet potatoes are. Unwrap potatoes. Skin should remove easily. Cut flesh into small cubes. Freeze on cutting board to save for finger foods for baby.